The NBA postseason is in very good hands but without LeBron James, the narratives won't be there. 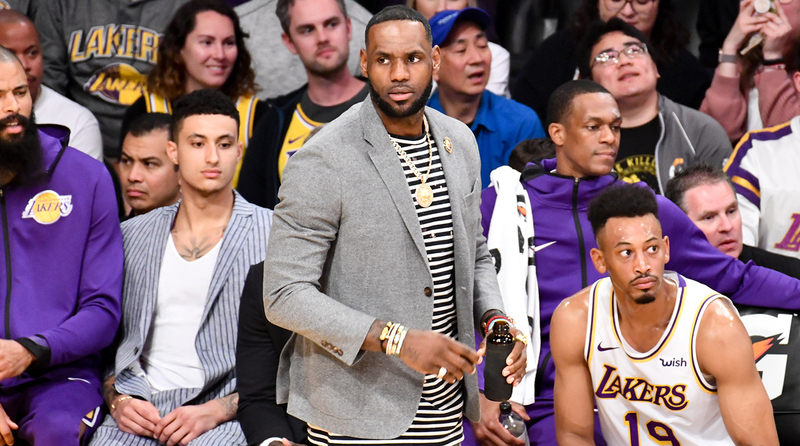 The Crossover on the King's disappointing season in L.A. and why he will be missed in the 2019 NBA playoffs. It’s not only LeBron’s skills that make him so compelling, it’s also the heightened stakes—whether manufactured or not—that follow him on every title run. Like, how will another championship affect the GOAT conversation? If LeBron’s team plays poorly in this big game, will the roster get blown up in the summer? Is James going to troll someone with his outfit as a direct result of something someone said during a press conference? Narrative has become a dirty word for people in certain circles of the sports internet (like, the MVP race), But putting each LeBron playoff run in the context of his entire career and what it means for his legacy is actually fun, and there’s no player scheduled to be in the postseason who brings the same aura around him. The postseason isn’t only about crowning a champion (especially when that has felt preordained for the third year in a row.) It’s also about birthing legends because of how the game’s greatest players comported themselves when the intensity was the highest. For LeBron, that intensity is higher than everyone else’s, because for better or worse (it’s definitely for worse), he’s ultimately judged on his playoff success, and he’s provided the slightest bit enough ammunition for his critics—however flimsy—that there’s still a conversation to be had about what that meant at the end of every one of his runs. The NBA’s postseason is still in very good hands. Kawhi and Kyrie are back, Giannis is on the rise, Embiid and Ben Simmons have something to prove, and maybe this is the year Steph finally gets his Finals MVP trophy instead of Kevin Durant. But though LeBron James may not be the best basketball player in the world anymore, he’s still the most interesting. A playoffs without him means a playoffs without incessant legacy talk, with fewer iconic moments, and without the drama that follows the only man credible enough to openly put himself in pursuit of Michael Jordan. As the postseason approaches, I’m realizing I’ll miss all of that more than I thought.